I love the countryside. We often ask our tour guide if they have been to America. Almost all of them say yes, but few of them say they have traveled across our country. Living in the Midwest I think that when people come to my country and only see New York and LA, they have missed the “real” America; the heartland of the homeland. Traveling on a bus tour affords me the opportunity to sit back, relax and enjoy the land. I don’t have to watch traffic, understand the map in a foreign language or drive on the wrong side of the road. In 2000 I was in Germany for the first time and we were driving through Bavaria and its beautiful farm land lush and verdant. It struck me in that moment that this was the land my great grandfather called home. This was a place that made his heart swell with pride as he told stories of the Old Country. And here I stood with no memory or appreciation for the place other than its beauty. Turkey for me is another such place. 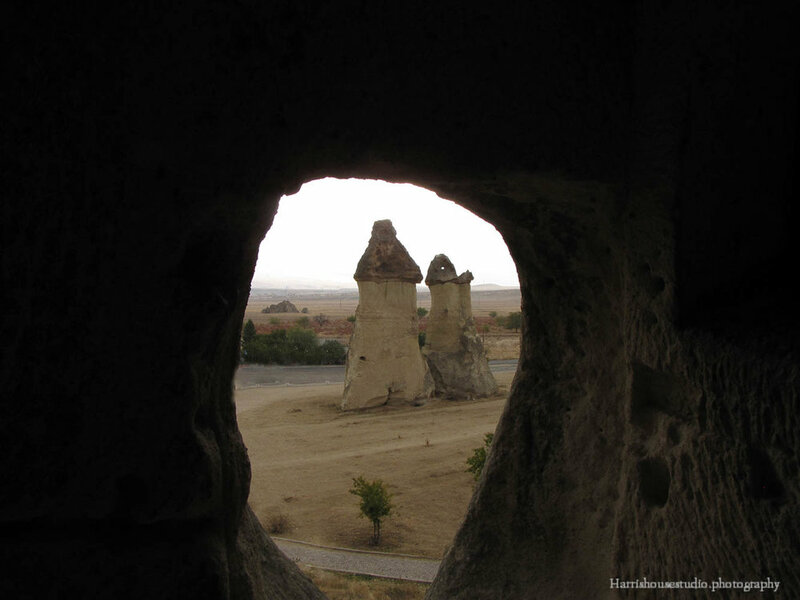 There is one day on the tour that is a 12 hour ride from Cappadocia to Pumukkale. Yes, that is a long hall but like driving across the prairie you begin to get a sense of the vastness of the land and the struggle to explore it, to tame it, to make it home. Here the Apostle Paul made his way from the great city of Pisdia Antoch to Ehpeshsus I have made this part of the trek twice and both times I have fallen deeply in love with the beauty of the land. Travel reconnects; travel mends the memories of the ancestors. Somehow the ground felt familiar, welcoming as if it was a place that I really did know, and perhaps at some cellular level the DNA of all my German ancestors rose up to meet me there on the holy ground.